Green is good. Green fashion is better. That’s why we love a new tome out soon that celebrates the organic side of fashion. 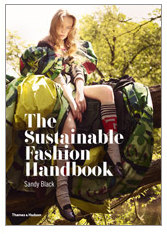 Professor of fashion design and textile design and technology at the London College of Fashion, Sandy Black, has written a new guide to the complex issues surrounding modern fashion, clothing production, use and disposal in ‘The Sustainable Fashion Handbook.” How cool is that? Coming out on April 9, 2013, Thames & Hudson provides this one-of-a-kind fashion handbook that will help you with techniques, brainstorming, style choices and give you chapters on top of chapters on the never-ending innovations of fashion. It’s the process behind the style behind the actual fashion. 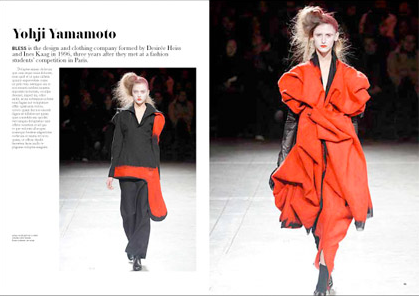 Also included are fashion icons Stella McCartney, Vivienne Westwood and Hussein Chalayan. So run, don’t walk to get this new book that will is sure to enhance your fashion library.